oil on panel. Scripture often describes Jesus Christ as the Lion of Judah. If He is the Lion of Judah, then His church whom He calls His bride, would be His lioness bride. 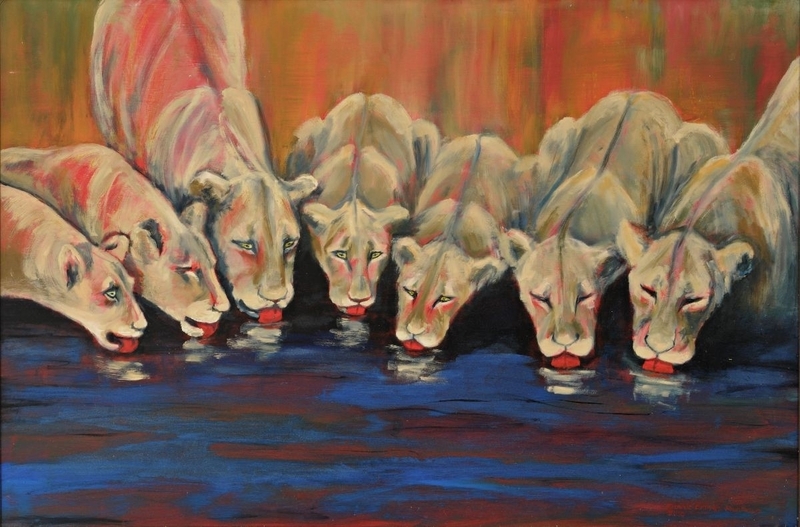 In accordance with Scripture, this painting reflects my vision of the church as she is called to be - multi-faceted but in unity and harmony, drinking together from the Living Water of the Lord and surrounded by His holy empowering fire. 5" x 7.5"5.25" x 8"